Is there a risky tree in your compound that poses a threat to your property, or sits awkwardly in the compound as to obstruct the landscape? If yes, then all you need is professional tree removal services. There are several instances in which you will need to remove a tree. One is if a tree is hanging in the compound near your house for example. This poses a risk because in case of any harsh weather conditions like a storm, or simply a strong wind, then the tree can fall on your house. To avoid such a scenario where you will have to spend more in repairing the house, not to mention the inconveniences that can be caused by such, it is best your remove the tree well in time. However, removing such tree that sit awkwardly in your compound is a challenge too. If the tree is removed by a non-professional, then it can end up falling on your property. To avoid this, you need professional tree removal services. What does it take to be a professional in the tree removal field? It is simple; experience, skill, and the right equipments. It also goes without saying that these are the features to look for when selecting the tree services company to hire. Skill is through the company technical staff. Skill is the know-how about tree removal that the staff has. Skills are gained through training sessions. The right company to hire for this job should have well trained staff members. Experience is a result of continued active participation in field work. One of the ways to determine experience is to look at the number of years the company has been in the business. For guarantee that the company staff members are well experienced, five years is a sufficient period to be in the field. The other crucial measure of professionalism is the equipments at the disposal of the company. 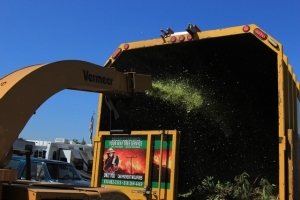 Tree removal is made easy, safe, and efficient through the type of equipments being used. Has the company invested well into state of the art equipments? Does the technical staff have access to these equipments for every tree removal task as may be required? If yes, then you can go ahead and hire that company for tree removal. There are also some specific when removing trees. For example, if a tree is near electricity line, then you are supposed to contact the electricity company to handle the situation. However, you don’t have to worry if you have hired the right company as they understand the various legal requirements pertaining tree removal. Contact your way tree trimming today!